A couple of new movies hit theaters this post Memorial Day weekend. Flop Factor: Directed by the guy whose last movies where The Last Airbender, The Happening, Lady in the Water. Flop Factor: May rely too much on CGI rather than practicals, for a magician movie. Summer competition is too high. May get lost in the shuffle. 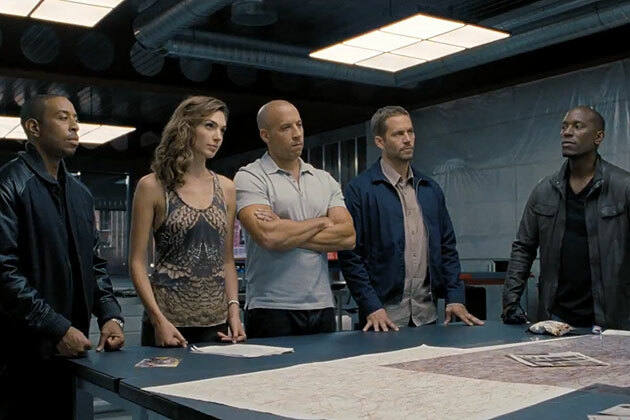 This Memorial Day weekend is looking to be huge, as Fast and Furious 6 leads the pack with $98.5 million. It is the highest debut for a Fast and Furious movie. Add in another $177 from it's overseas gross and we have a worldwide total of $275.5 million. Meanwhile, The Hangover franchise is starting to lose some steam as The Hangover Part 3 grossed $42.4 million for second place. Comparatively, The Hangover 2 grossed $85.9 million and The Hangover grossed $45 million on opening weekend. 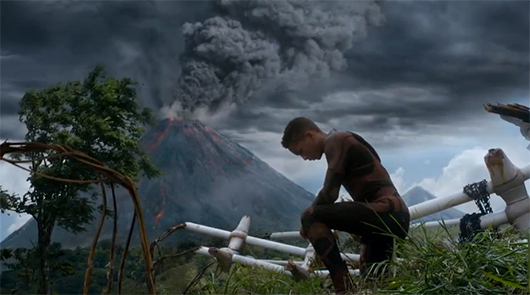 Star Trek Into Darkness had a strong 3rd place finish in it's second week ($38 million). And the animated flick, Epic had a decent $34 million for fourth. Iron Man 3 is now the 5th biggest movie of all time with about $1.142 billion... sitting right behind Harry Potter and the Deathly Hallows Part 2. Overall, the box office is up as analysts are estimating a record $322 million for the Memorial Day weekend. A few new movies hit theaters this Memorial Day weekend, in what could be record breaking. Hit Factor: Fast Five was the best and most successful of the franchise. Flop Factor: It's already the sixth in the franchise. Hit Factor: It's huge fan base will probably want to watch the last in the franchise. Hit Factor: No competition in terms of animated family films. Flop Factor: Competition from every other giant film eating up the marketplace. Only one new movie hits theaters in wide release this weekend. Flop Factor: Has Star Trek faded a little in this crowded Summer box office? Iron Man 3 easily took the top spot at the box office this weekend ($72.5 million), but it was also good news for the second place debut of The Great Gatsby ($51.1 million). The Great Gatsby's fate became questionable when critic's reviews accumulated up to mediocre standards last week. The Tyler Perry produced, Peeples, managed a fourth place finish, but it only equated to $4.9 million, which is a lot lower than expected. 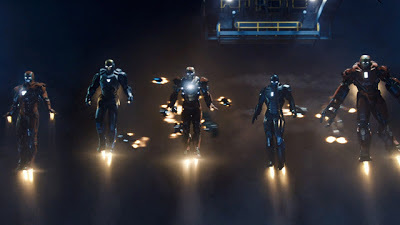 Overseas, Iron Man 3 continued it's money-grab train with a huge $89.3 million, grossing $664.1 million total. Worldwide, Iron Man 3 has already grossed $949 million. 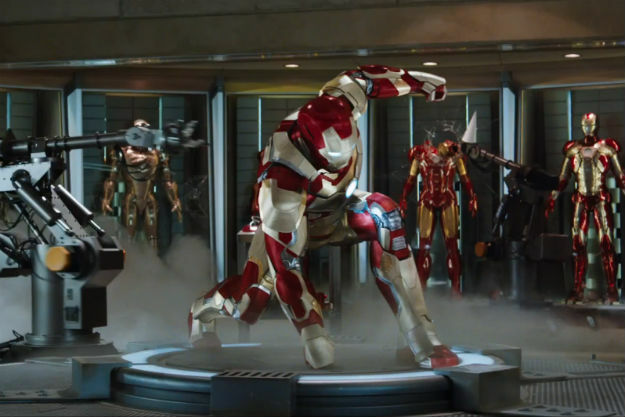 So, now it doesn't seem so out of the question that Iron Man 3 could match The Avengers' $1.5 billion. 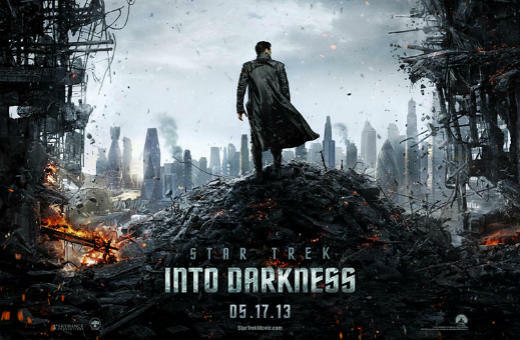 Also overseas, Star Trek Into Darkness opened to a good $31.7 million. It lands in North America this Friday. So far, May is looking pretty big for the box office. It's more like Iron Man 3 will remain on top, and it will be a fight for second. Anyways, a couple new movies hit theaters this post Iron Man 3 weekend. Hit Factor: It looks visually cool. Flop Factor: Early reviews are a bit under (46% tomatometer) what I was expecting from this film. Hit Factor: Has Tyler Perry name behind it. Flop Factor: Doesn't look very interesting. Iron Man 3 debuted with a hefty $175.3 million this weekend. Making it the Second biggest opening weekend ever (of course, only behind The Avengers). This bodes well for Marvel (and Disney) as now anything related to The Avengers (Captain America, Thor and possibly Guardians of the Galaxy and Ant Man) will see a boost in sales as everyone wants see how The Avengers saga pans out. Luckily for Marvel, people have forgotten about Iron Man 2. Iron Man 3 has grossed over $680 million worldwide so far. It also already is the highest grossing film worldwide of 2013. No other movie opened in wide release this weekend. In fact, the number 2 and number 4 spot, held by Pain and Gain and Oblivion, were directly damaged by Iron Man's success, as they dropped well over 60% from last weekend. This is going to be a huge Summer. Only one new film hits theaters in wide release this weekend. Hit Factor: People are treating it as a sequel to The Avengers. Flop Factor: Does anybody remember Iron Man 2?